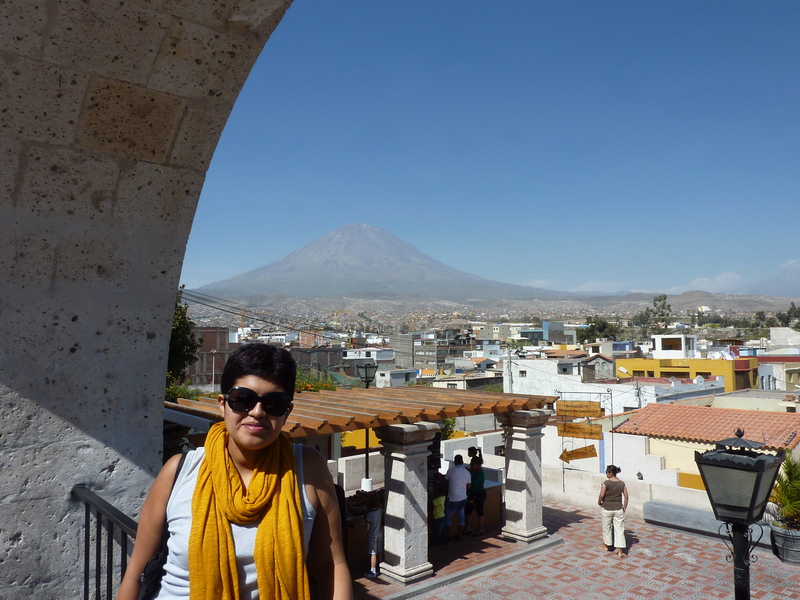 This would perfectly define what the 10 of us in the Symantec Service Corps team have experienced in the last 10 days in Arequipa. If you haven’t yet read the details about each of the 3 Symantec sub-groups, I’d encourage you to check the blog posts below which are full of information and great pictures. You’ll learn about the NGOs we are working with, get updates on all 3 projects as well as learn about Arequipa or how to deal with lost luggage. As we are entering in this second week in the white city, the main thought that comes to my mind is “Wow! Has it only been 10 days? Really?” I feel so at home here, our hotel is simple but very comfortable. Like a home away from home, with a team room where we can come together, to brainstorm or share Belgian chocolates. Our own Wi-Fi connection to be able to access work information 24/7 or get in touch with our families. A great breakfast buffet with some of the best fruits and vegetables that Peru has to offer (I’m definitely packing a few bags of their amazing Quinoa cereals to bring home!) and also an amazing group of people to spend a month with. I feel blessed to be surrounded by 9 other talented Symantec people. People with such diverse background, culture and knowledge. People with a real commitment to making a difference and so fun to be around! Our days are busy, leaving for our respective offices around 8 am and back late afternoon. We are all working hard, with days packed with meetings to have, new ideas to work on and challenges to be faced with. Yet our days are also filled with positive energy, a real sense of belonging and laughter. In the evening, as we all share tales of our respective families, cultures, likes and dislikes… we are getting closer to each other and becoming a stronger team. Somehow I don’t want this to end. Put me in a foreign country, keep me busy with meaningful work, have me juggle 2 or 3 languages and I’m in paradise! This would summarize my life since I left university and God knows I love it. Having said that, I’m eager to get to the end of the mission to see the fruits of a month worth of dedication. What will we leave behind for our respective NGOs to do great work with? How will 10 individuals make a difference? I’m also eager to see what we will gain from this experience? How will our Symantec careers be impacted by this mission? After 10 days here, I can most certainly say that I’ll be going back to work with renewed energy, plenty of new knowledge and a bunch of new friends from all over the world! This entry was posted in Uncategorized and tagged #SSC14, #Volunteer, Peru. Bookmark the permalink. 2 Responses to Time flies when you are having fun… and are hard at work!